Welcome to the Margaritaville Podcast – your digital source for weekly sounds of escapism. In this episode, Jimmy Buffett’s Production Coordinator, Heikki Larsen, sits down with Michael Holly at his restaurant, Latitude Blue, in Tamarindo, Costa Rica. While you may not know the name, you’ve probably seen Mike’s legacy – the arm tattoos worn by concert goers to show how many of Jimmy’s shows they’ve been to. 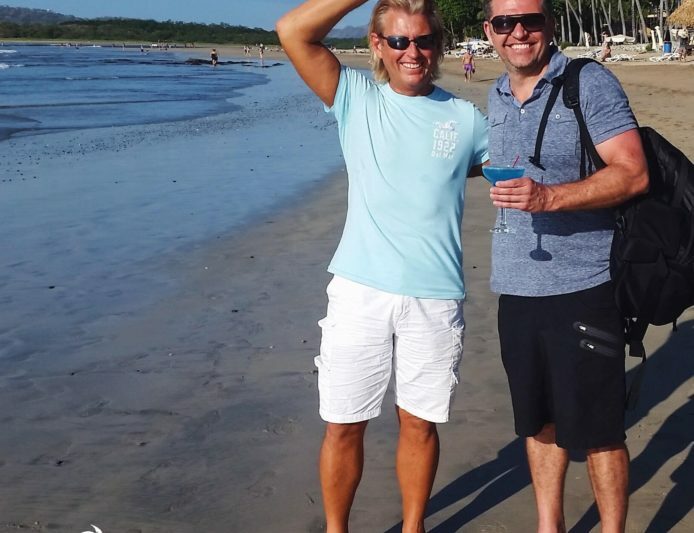 Relax with Heikki and Mike as they discuss his epic move, leaving a “normal” life in Ohio for the beach, starting a restaurant in the tropics, and how Margaritaville was the inspiration. Are we to blame? You be the judge.